Thanks to the incredible team at Bellefleur Physiotherapy, our Centre has received the great honour of being one of the official charities receiving funds from this year’s Scotiabank Charity Challenge/ Kichessippi Workplace Runoff during the Tamarack Ottawa Race Weekend on May 26-27, 2018. Emily and the rest of the Bellefleur “Fast and the FLEURious” team have already begun their fundraising challenge, won’t you help them via a donation OR join them and help to support the OCCRC in reaching our 2018 goal of $3,500? Sign up to run 2k, 5k, 10k, 1/2 marathon or full marathon on May 26-27, 2018. 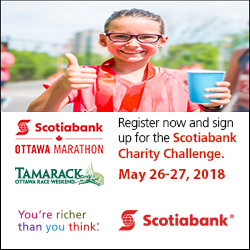 When registering for your race, be sure to select the Orléans-Cumberland Community Resource Centre as the charity you wish to run in support of in the Scotiabank Charity Challenge or Kichessippi Workplace Runoff section of the signup form. Start fundraising by sharing your fundraising page link through your social media and network channels. Run/walk proudly on May 26/27, knowing you made a difference in right here in our community! Enjoy a fun filled with your team knowing you are making a difference for families and individuals here is Orléans, Cumberland, Sarsfield, Vars, Navan and Carlsbad Springs! Every dollar raised by our participants directly supports the OCCRC’s Food Bank and Volunteer programs. 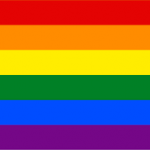 Thank you to all those who participate in this great community event!